Cliffs of Moher: 10 mins. Ennis (Capital of Clare): 30 min. The only way to really experience the Burren is by foot! The green roads are the old Burren roads and are perfect to explore this landscape on short and long walks. The Burren Way is a 20-km signposted walking trail between Ballyvaughan and the Cliffs of Moher. Guided Burren walks are available in the area. There are numerous fishing lakes and rivers in the area. Click here for the website of the The Lickeen Anglers Co-operative. The areas around and Liscannor are noted for rockfishing in the Atlantic. Sea Fishing Trips can be arranged from Liscannor harbour. 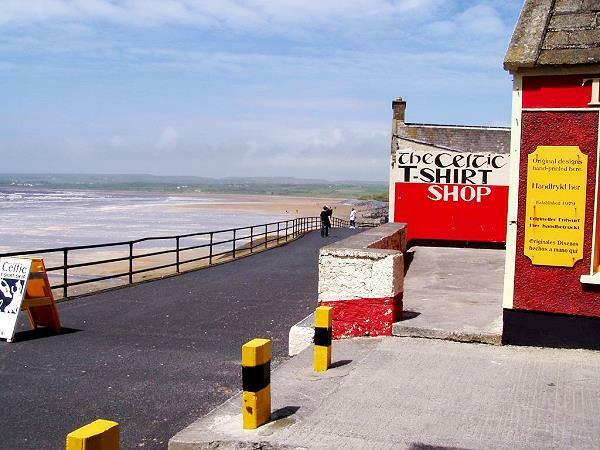 Lahinch is a very busy seaside town with excellent shops, restaurants and art galleries. The wonderful beach and promenade are full of atmosphere and fun during the Summer months.This beach is a mecca for surfers and it offers ideal conditions for this sport. The long, sandy beach is also perfect for those who like a revitalising walk or for swimmers. 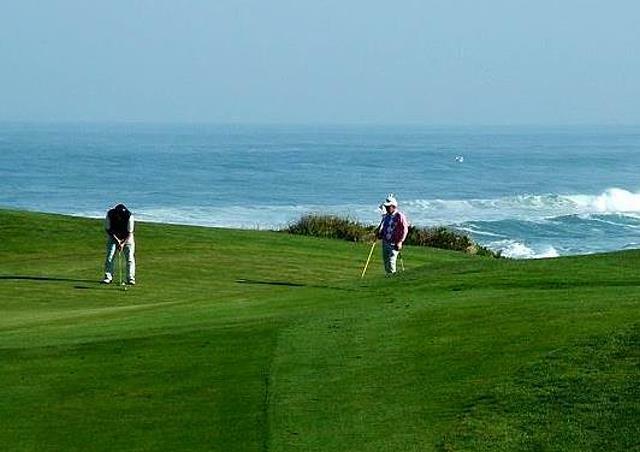 It is patrolled by a lifeguard during the Summer months. The famous Cliffs of Moher stand facing the Atlantic ocean a short distance north. They are very impressive at over seven hundred feet high, and give visitors a high vantage point over Galway Bay and the Aran Islands. O'Brien's Tower stands guard at one end and Moher Castle is situated at the southern end. The cliffs are home to numerous seabirds, including gannets, razorbills guillemots and puffins, and the area is a birdwatcher's paradise.